If you happen to live in or around the city of Pittsburgh, you still have until May 3rd to visit the Andy Warhol Museum at catch a glimpse of the Vader Project. 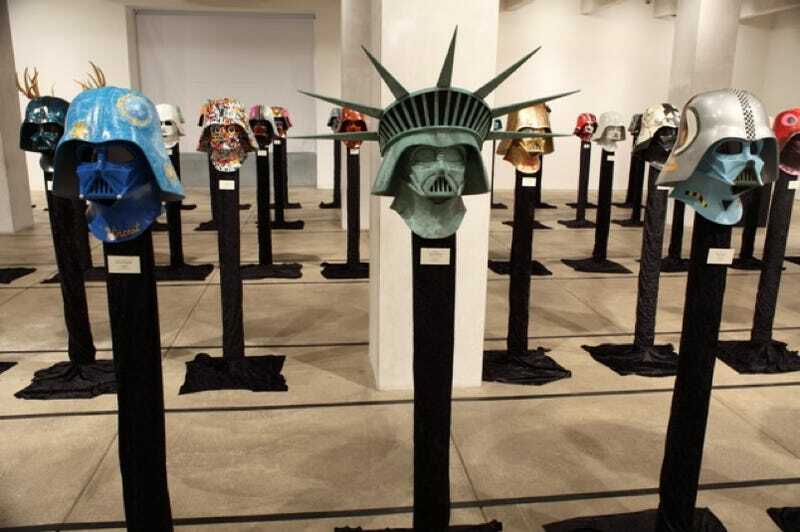 The concept is simple: 100 of the best underground artists and designers working today were given a scale Darth Vader helmet to customize as they saw fit. Some of the most notable artists involved with the project include: Shag, Peter Kuper, Attaboy, Gary Baseman, Tim Biskup, Dalek, Paul Frank, Ron English, Jeff Soto, Michelle Valigura, Frank Kozik, Wade Lageose, Joe Ledbetter, Alex Pardee, Suckadelic, Cameron Tiede, Mister Cartoon, Marc Ecko, and Amanda Visell. Plus, new artists are added to the lineup from time to time.